Learn From The Company That Invented Home Staging! Forms, Legal Forms, Marketing Materials & much More as an Active ASP®! 2019 Educational Conference & EXPO! OPEN TO ALL in the INDUSTRY! I just wanted to drop a note...I loved the webinar, so much great information! The days went by so fast because it was fun listening ​to the instructor ...never boring! I am so excited to get started and STAGE!!!! I look forward to all the benefits and support with being an ASP. I really enjoyed your class. I thought the materials were well put together; very detailed and easy to comprehend. You made the class more enjoyable and brought good positive energy to class. I liked that we got hands on experience on staging day. I thought that was very useful. Just wanted to drop you a quick note to let you know how very much I enjoyed the 2 day class this past week. Obtaining my ASP-RE​ ® has been a goal of mine for the last two years and I am just THRILLED to have finally accomplished that goal. SO much of what you talked about, the scripts you encouraged us to use, and the staging process and techniques are part of my "way of doing things" already. However, we learn everyday, IF we are open to it, and I certainly DID learn a great deal as well. I recently had the pleasure of taking a three day course to become a home stager. The course was awesome and not only very informative my trainer was knowledgeable on the subject matter and was also very personable. Our project was an amazing experience and it far exceeded my expectations. Looking forward to working on future projects on my own. I really appreciated your instruction. You navigated us through an amazing amount of information in 3 short days. Thanks for making the class informative and fun. I really enjoyed meeting you and everyone in the class. Looking forward to seeing you again in the near future. And looking forward to hearing about fellow classmates successes! 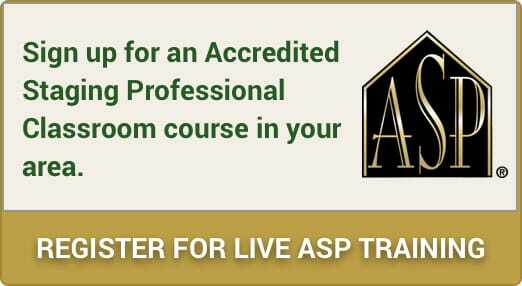 The ASP training course is fantastic! It is filled with valuable information to not only help get me started but also touches on how to succeed in my career as an ASP Stager later down the line. After taking the class, I believe that it is imperative to receive proper training before getting my feet wet as a Stager. The 3-day class and the industry knowledge that you shared with us during the class will help me avoid some of the pitfalls that many Stagers face and kick start me in the right direction. Any one that can take the amount of information presented in the 3-day class, keep eager-to-learn adults on the same page, keep it entertaining and engaging is a fantastic teacher. You were a wealth of knowledge and very straight forward in your training style. I feel so fortunate to have taken the ASP course again, with you! You made it so clear that at the center of all of your success was your discovery that ​Staging​ Sayings, and Let Me Tell You How I Work, really do work! Also, that they are at the heart of your success, and that we should internalize it to realize our own success. What made your course Inspiring was to hear your story of how you grew your business, as well as your demonstration of how to create one's marketing and income plan. Though hard work, it revealed a path to success. I think the most important lesson I took away was to to exude confidence in my "staging genius". For me that means allowing the confidence I do have to be perceived by others. Having completed your course, I am ready and so excited to make my business a success!! Click the button below to join each Wednesday at 9:30-10:30 AM - MST live! Missed it live? 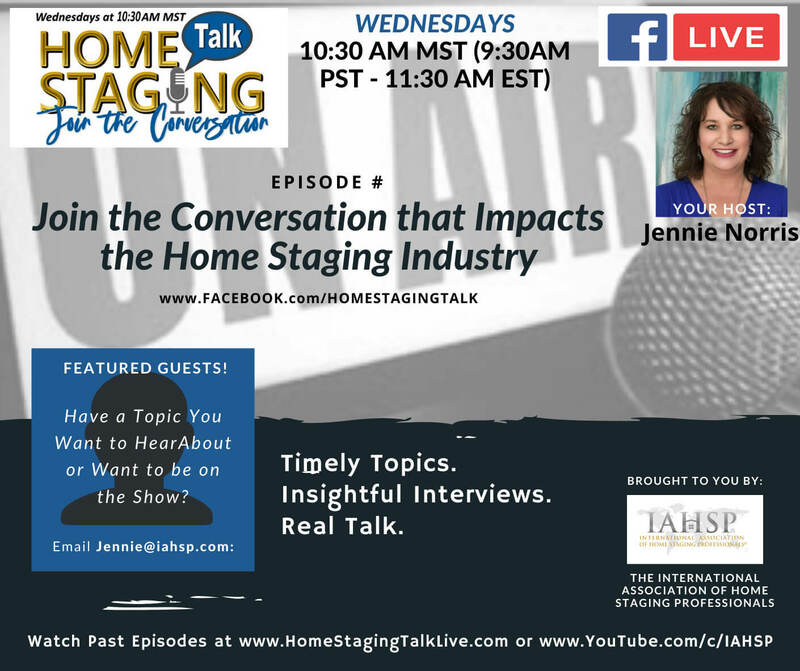 Check out all the segments for the HOME STAGING TALK SHOW archives! NEW UPDATED STATS for 2019! of Staged houses sell at or above list price, and SELL on average in 10.3 days versus 84.6 days for non-Staged houses. NEW Stats - click here! and Change People's Lives Too! The BENEFITS of being an ASP - What Do I Get From My Training? 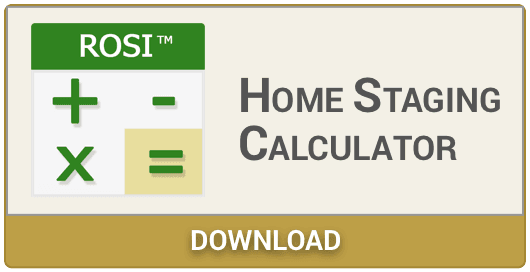 Invest in your future, Start an ASP® Home Staging Business today! We are the best choice for Home Staging Training and Support. Home Staging is the very best proven way to get top dollar for your home as you prepare it for sale. Homes that are Staged with an ASP Professional Home Stager sell faster and for more money! This is because Staging sets the scene throughout the house to create immediate buyer interest in your property. This will then lead to your home selling for the highest possible price in today's market. Remember, "The way you live in your home, and the way you market and sell your house are two different things." 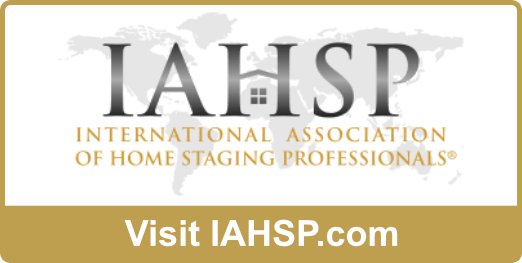 This gives you "The Staged Homes Advantage®"
What is an Accredited Staging Professional? 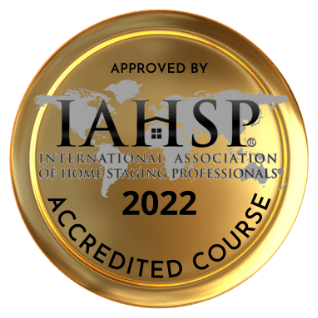 Accredited ASP® Stagers and Real Estate Agents are true Professionals trained under strict guidelines using proven Staging techniques developed for over 35 years by Barb Schwarz, The Creator of Home Staging®. When you bring your home on the market and Stage® your house for sale always hire an ASP® because ASPs® must pass a detailed written examination, agree to follow the ASP® Code of Ethics and the ASP® Consumer Foundation of Service Creed, renew yearly to maintain their ASP® Designation and the guidelines therein and their membership with Stagedhomes.com. 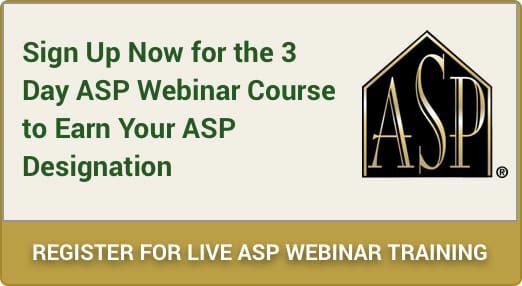 ASP's® are taught to: Hold a Business License or RE License, Carry Staging or E and O Insurance, Hold a Sales Tax ID number as an ASP® Stager, Have a commercial checking account for their Business, Continue their education by returning to additional ASP® Courses and Hold a current active membership in The International Association of Home Staging Professionals®. The ASP® Designation is the benchmark designation of the entire Home Staging Industry. Thank you for coming to Stagedhomes.com to find the ASP® to work with you. We are so glad you are here. 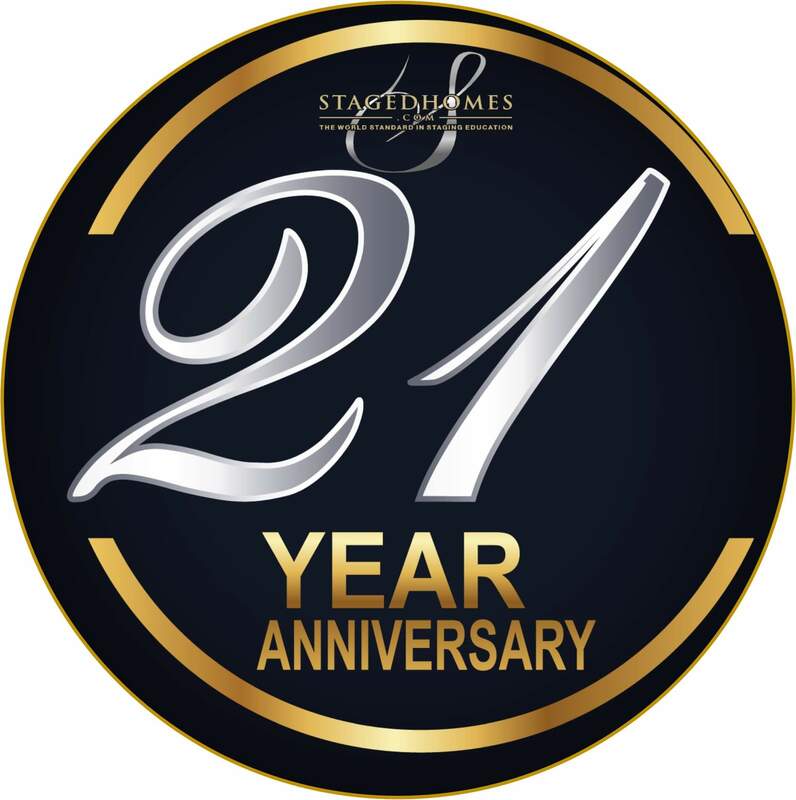 Stagedhomes.com® is the premier home staging accredited designation for professional Home Stagers and Realtors® in the real estate industry, providing on-trend continuous education, enabling students to apply their creativity, business acumen and ethics to positively run successful businesses. Stagedhomes.com® empowers our students to not only provide strong leadership in their communities, but embrace serving and honoring clients and community, with integrity and compassion.